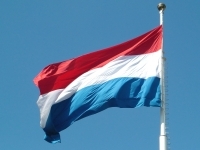 On Sunday 10th July, Luxembourg became the thirteenth Member State (and the third founder State of the Union) to ratify the treaty establishing a Constitution for Europe by voting 56.52% in favour of the text. 43.48% of the electorate voted against. Luxembourg therefore became the second country to ratify the European Constitution by referendum after Spain that approved the text by a wide majority on 20th February last (76.73% "yes"). On 29th May the French rejected the treaty (54.67% "no") and the Dutch on 1st June (61.6% "no"). Nine communes of the Grand Duchy out of 118 voted "yes" by more than 65%, the record belonging to Strassen (68.31%), followed by Kopstal (67.24) and Schieren (66.97%). Nine others rejected the European Constitution; these were seven communes from the former mining and industrial basin that lie on the French border - (Differlange (40.83% "yes"), Rumelange (43.52%), the country's second biggest town and stronghold of the leftwing opposition, Esch-sur-Alzette (46.76%), Kayl (47.23%), Sanem (47.33%), Petange (47.11%) and Schifflange (47.41%) - as well as two communes in the centre of the country that has refugee centres : Esch-sur-Sure (41.84%) and Beaufort (49.35%). It is obligatory to vote in Luxembourg. Out of the 220,717 voters on the electoral roll, 98.18% turned out to ballot. 11,201 chose to vote by post and 5,894 placed a blank or void voting slip in the ballot box. "We were waiting for this election and the Luxembourg population rose to the occasion," said the President of the European Commission, Juan Manual Durao Barroso. "It is a strong sign since it means that a majority of Member States believe that the constitutional treaty meets their expectations by opening the way to a more democratic, more transparent, more efficient and stronger Europe on the international arena," he added. Many European leaders also welcomed the Grand Duchy's vote. "The people of Luxembourg can be proud of the positive result of the referendum. "Yes" to the European Constitution is also a declaration of an acceptance of Europe when the Union is experiencing a difficult moment," declared German Chancellor Gerhard Schröder adding that this was an encouragement to "overcome quickly the crisis." Martin Schulz head of the European Socialist Group (PSE) at the European Parliament in Strasbourg believes the Luxembourg population has provided Europe with a "new opportunity to for the ratification process." "Luxembourg voted with a clear head. Luxembourg said "yes" to the constitutional treaty. You can understand why I am happy. It is the expression of universal suffrage by a small population but a great nation and consequently all the importance that was granted to the expression of the majority of the French and the Dutch is returned to the Luxembourg election," emphasised Luxembourg Prime Minister Jean-Claude Juncker (Christian Social Party, PCS/CVS), who believes that because of this positive vote the Constitution can be maintained on the "Union's agenda". Undeniably this is a new victory for the Prime Minister after his re-election as Head of State on 13th June 2004 and victory for his party on the same day as the European elections. Jean-Claude Juncker brought all of his influence and popularity into play in this referendum, announcing that he would resign from office if the "no" vote won, an announcement that the supporters of the "no" vote had decried as unpardonable blackmail. "I am happy to be the Prime Minister of Luxembourg and to remain in power," he maintained when the results were announced. The majority of the Luxembourg population therefore listened again to their Prime Minister - "I want France and the Netherlands to be the only ones to have said "no"," he repeated during the electoral campaign- asking them to "accept what we have contributed to building in the past and what we want to protect for the future." Indeed the Grand Duchy owes Europe for becoming a prosperous nation; its 450,000 inhabitants represent the richest of the Union's countries. "Nothing European must be strange to us," is a phrase Jean-Claude Juncker likes to repeat. All of the unions (the Confederation of Christian Unions of Luxembourg, the LCGB, and the Independent Confederation of Unions, the OGBL) and nearly all of the political parties represented in the Chamber of Representatives -the Christian Social Party (PCS/CVS), the Socialist Worker's Party (POSL/LSAP), the Democratic Party (PD/DP) and Dei Greng-the Greens (G)- are in favour of the European Constitution. Only Action for Democracy and Justice for Pensions (ADR) was opposed to the text. During the last four weeks of the campaign the four parties applied all of their strength and met with the population on several occasions. "My country cannot be the "saviour" of the European Constitutional Treaty. But we shall do our best not to be its undertaker," declared the Foreign Affairs Minister Jean Asselborn (POSL/LSAP) just a few days before the referendum. Opponents to the treaty expressed in Luxembourg as elsewhere fears aroused by the latest enlargement and Turkey's possible accession. Some also showed their concern about the future of their language (Letzebuergesch is not one of the EU's official languages) and their identity (the country has 277,400 citizens, 38.6% of them being foreign, mainly Portuguese, French, Italians and Belgians). The supporters of the "no" vote campaigned on the fact that the European Constitution would endanger public services and social advantages such as the universal social coverage or the automatic indexation of salaries in line with inflation. The "no" committee rallied militants from the two parties that are not represented in the Chamber of Representatives, the Communist Party (PCL/KPL), chaired by Aly Rickert, and Dei Lenk-The Left (DL) as well as associations from the social movement can however be satisfied in having obliged the political parties to undertake a real campaign in the field, something that is not usual in the Grand Duchy. "We started off with a 20% no vote just a few weeks ago and now we have 43% of the vote," emphasised André Kremer, co-ordinator of the "no" Committee. Adrien Thomas, manager of the student union Unel, said "a result of 40% would already be a victory over the elite and the administration." "The vote demonstrated that Luxembourg has been split into two and we have to try and win back the 43% of the Luxembourg population who rejected the treaty," declared MP Ben Fayot, president of the Socialist Worker group in the Chamber of Representatives saying that his party will have to "do some major educational work to explain to the "no" supporters the advantages of Luxembourg belonging to the European Union." "Without the Juncker effect that was able to motivate the electorate in favour of the "yes" the "no" would probably have won the day," emphasised Erna Hennicot-Schoepges, a Christian Social Party MP in the European Parliament and former president of the party. "Luxembourg politicians were obliged to discuss certain topics and provide more real explanations about Europe," she added, mentioning for example the need to separate general elections from the European elections, organised since 1979 on the same day in Luxembourg. Likewise Foreign Affairs Minister, Jean Asselborn (POSL/LSAP) said that on publication of the results he had heard the people of Luxembourg: "Europe has no chance of being understood if the content of its policies is not understood by all, all of the Luxembourg population who are extremely sensitive. Social insecurity must be fought against in each decision." The arguments put forward by the no supporters included the "liberal drift" taken by Europe which found sympathisers notably amongst workers and the young. "Both of these categories can see that unemployment is rising; it has doubled in five years reaching nearly 5% and then there is the feeling of insecurity that results from this although the Luxembourg model is still extremely efficient," says Philippe Poirier, a political analyst at the University of Luxembourg. A victory of the "no" vote would have led to a serious political crisis in the Grand Duchy but also in Europe where it would probably have heralded the end of the Constitution. The victory of the "yes" provides a new opportunity for consultation amongst the populations who have voted against the treaty whether it is on the same text or a modified one. "If there were to be a renegotiation, which I am excluding for the time being, the countries who have said "yes" will carry with them arguments that are strengthened by universal suffrage," maintained Jean-Claude Juncker as he went to ballot. "The message that emerges from this and that has been sent to Europe and the world is that the Constitution is not dead after the votes in France and the Netherlands. If Luxembourg had voted "no" Europe would have found itself in a major state of crisis. With this vote we are still in crisis but in one that allows for the light of optimism," he declared. "It is a result that allows us to keep the treaty on the European Union's agenda. Those who believe in the project will be able to breathe again," said Jean-Claude Juncker. On 28th June the Chamber of Representatives approved unanimously the treaty establishing a Constitution for Europe on its first reading. The fifty-five MP's present voted in favour of the text, five representatives of Action for Democracy and Justice for Pensions (ADR) opposed to the European text did not take part. After the Luxembourg "yes" (MP's were committed to respecting the people's decision) MP's must now vote a second time for the ratification of the European Constitution to take effect. Their vote will however not take place before 28th September since article 59 of the Grand Duchy's Constitution stipulates an obligatory lapse of three months between the votes taken by the Chamber.